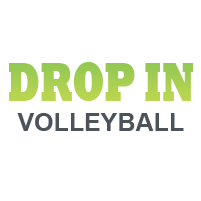 - Our new Parent/Player program. The adult lessons are for beginner and intermediate players. The Parent/Player program is for children and adults who are both beginners to the sport and want to learn volleyball together. 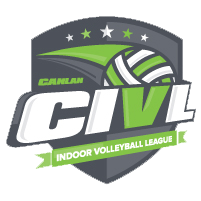 For Adults who want to play volleyball games, we recommend the Adult Leagues, Drop-in programs and court rentals offered by Canlan Sportsplex in Mississauga. See below. Besides the fact that it’s an insanely fun way to spend your time, there are also many health benefits involved in playing volleyball. Improve your muscle tone, cardiovascular health and burn calories while you relieve stress and smack a few balls around! Practice your digging, blocking and setting while hanging with friends and meeting new people. Whether you’re a competitive player looking for a fast-paced game, a beginner starting fresh or someone in-between, we offer leagues for every skill. Canlan Sportsplex offers drop-in volleyball almost every day of the week! With three regulation courts, we can accommodate lots of players. All skill levels are welcome and all participants may join in and play. For the most up-to-date schedule, click the "More Info" on the right-hand side. See you on the court! 3 regulation volleyball courts with a sports court flooring surface and curtain dividers. 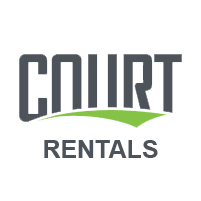 These courts are great for competitive or recreational volleyball, as well as other uses.